If 20 could be done on the knuckles I'd be a pretty happy boy tbh! They're tough, especially at this ludicrous bodyweight. Yer, they are. You are going through a greater range of motion. In Muay Thai we had to do them on our first two knuckles on a hard floor. But you get used to it after a while. The knuckle thing is an interesting one! People are always taught to punch with the first two but some interesting trivia is that through all of the time I did boxing and thai and punching people in the head, I've always done it with the middle knuckles and have never once had a hand injury punching! I know one other person who punches that way and she's never had a hand unjury either! 502.5 kgs @ 91.6kgs UnEq I know. I don't take much notice of it to be honest, and I've never had a hand or wrist injury. I'm not s**tting you here but one of my relatives is in that video haha. Also, I used to wrestle there three times a week, no s**t.
It looks even bloody worse now no joke. I'll give cumbernauld one thing though. It's an absolutely top notch location to do some street skating because of all the concrete! 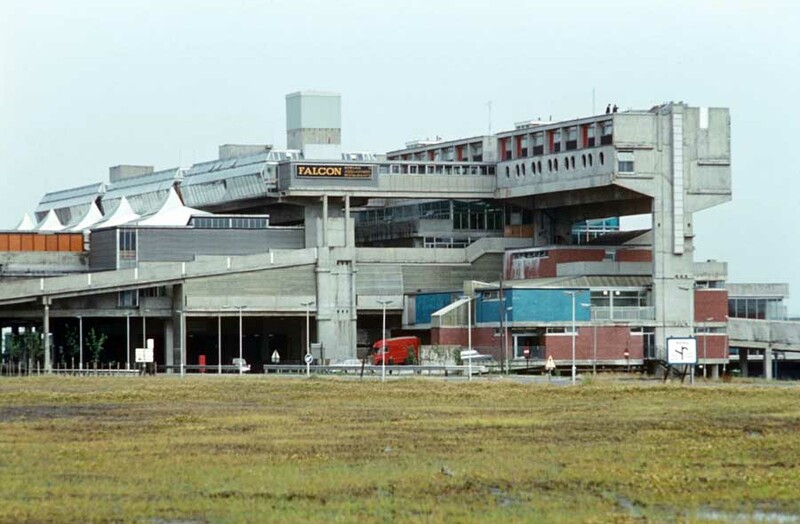 It won britains ugliest building multiple times. 565.0 kgs @ 81kgs UnEq I bet its good for skating! and those parkour lids would probably like it too. I think there is something very intriguing and joey about big ugly structures. 482.5 kgs @ 101kgs UnEq What a horrible piece of urban vandalism. Do you reckon the stairs are out there to stop urban fireflys burning the whole place down?? In other news, I did 20 pushups on the knuckles today. Felt good and the quality was high. I enjoyed it. 482.5 kgs @ 101kgs UnEq With the Johnny Popper you want a wide rim. It always works better with a wiiiide rimmm. In other news, I did 21 knuckle pushups today. 502.5 kgs @ 91.6kgs UnEq Much quicker than your previous attempts. my wife is wearing that dressing gown RIGHT NOW !!! she is unable to do pressups as she is fat with baby. keep going and going brother !! 482.5 kgs @ 101kgs UnEq Thanks Nick. I hope I'll start getting even better soon. I'm dying to get 50 reps at 105kg bodyweight. I reckon that'd be tank as f**k! Mr. Boar. I love the dressing gown and so do the Degus. The climb in for a crawl around every morning whilst I make breakfast and coffee. Today was 22. i don't know what the quality is like as I didn't see the vid. I feel they may be suspect though. They felt too fast to be strict.